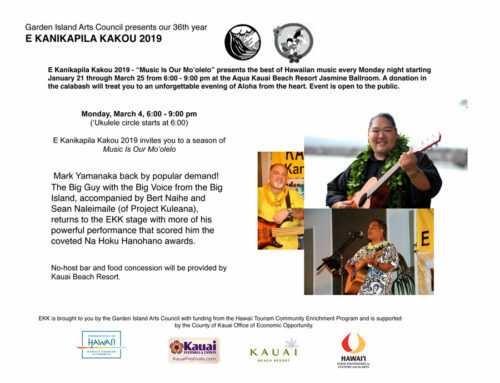 Garden Island Arts Council announces the Lineup for EKK 2019! The Number Film Festival is your opportunity to see 21 wonderful classic films at Kukui Grove Cinema in Lihue on the big screen the way they were meant to be seen. The tickets may be shared with friends and family. For example see a film at 4:30 pm then pass the ticket to your cousin to see the show at 6:30 pm. Tickets are on sale at the box office. Come visit NOAA’s life-size inflatable whale. 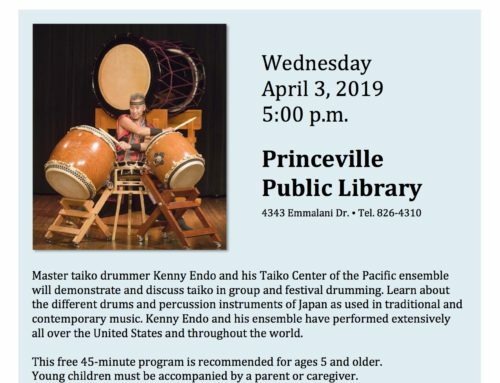 The whale is visiting Kaua‘i and will be stopping by Princeville Public Library. Learn all about migration, the dangers of marine debris and how our whales stay alive. Enjoy interactive activities and don’t forget to pick up your take-home whale adventure packet! Join Grandmaster Hong for a day devoted to making the most of the New Year. Practical tools for enhancing your health, finance, romance and family within the context of the Feng Shui tradition. Gain an understanding of the energetic influences to be experienced during 2019, Year of the Pig. 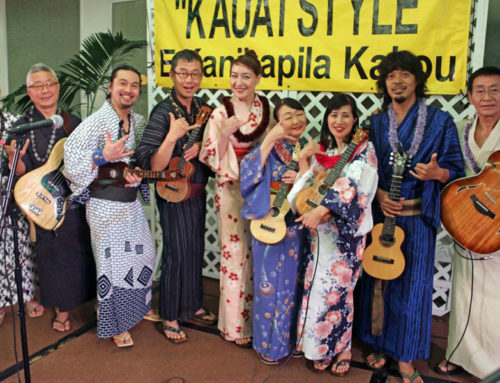 Workshop Location: From Kuhio Hwy 56 across from Walmart, turn by the AT&T store on Ehiku St, go to the end of the street, take the 4th right on Kanakolu St.
A traditional Hawaiian Music Concert w/ Grammy Award winning & favorite Hawaiian musician Ledward Kaapana to honor “Paddy Boy” Malama for his continuous generous contributions & aloha to our island community. 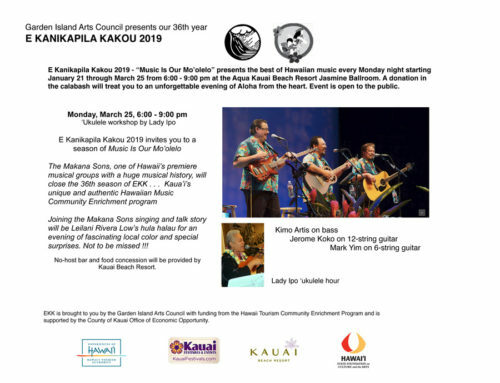 To purchase tickets, please call Puni Patrick at 808-651-5744 or visit the Box Office at Historic Waimea Theater during their normal operating hours. Moses Goods returns to Waimea to explore a remarkable period in Hawaii’s history. From Ikua Purdy winning the 1908 World Roping Championship to the way traditional Hawaiian values integrated with the Paniolo lifestyle revealing a remarkable time in Hawaii’a history. $10 General; available at the box office; call (808) 651-5744. Baked Goods, Nishime, Barazushi & Sekihan, Vintage Asian Apparel, Asian Wares, Décor and More! 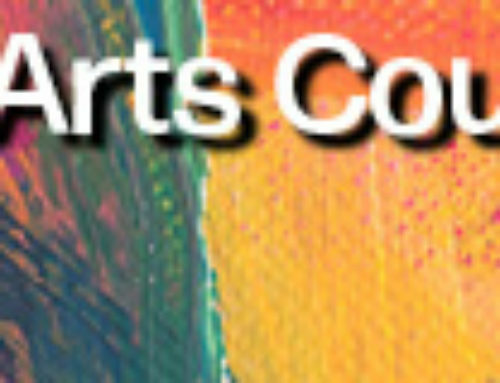 3-day workshop for Beginner and Intermediate students, -. $225. Three different techniques, landscape, negative painting and skin tones. $250. Old Koloa Church on Poipu Rd.